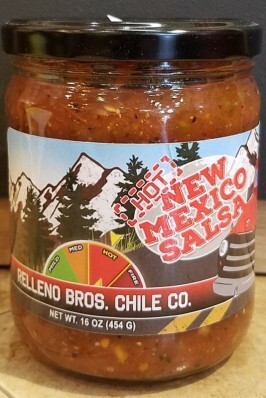 Our Relleno Bros. Chile Co.'s New Mexico Hot Salsa is our newest addition to our chile products. Great on Enchiladas, Burritos, and just about any Mexican Dish! I love trying different salsas, seriously I have a ton I have thrown out for various reasons, but this is delicious! I'm hooked and I will continue to buy these salsas!